Where to look beyond your resume for job search results. This is a guest post by Hannah Morgan. If you’d also like to guest post here on JobMob, follow these guest post guidelines. It is my assumption, the reason so many people are still unemployed has very little to do with their resumes. Yet, more than any thing else, this document is being re-worked and critiqued. Job search is about knowing the right people and having them know you. The resume is secondary. It is back-up documentation. More than any other objection, I hear job seekers talk about the fact that they can’t relocate their families. Ludicrous. No one says you have to move your family. No one even said you had to relocate yourself. In today’s world, more and more jobs can be done virtually. You will never know what the options are unless you pursue them. The one, most obvious solution, is to expand your search territory. See what happens! Don’t wait for a company to post a job, identify potential employers and pursue them. Be extremely clear on what problems you are great at solving (and enjoy). You cannot, nor should not, be all things to all companies! Know what you are good at and flaunt it! (By the way, some people even call this Personal Branding!) Learn how to create yours by reading Meg Guiseppi’s post. No, not in a slimy way, but in a convincing way. When you introduce yourself, use language that everyone can understand and make it interesting. Jason Alba recommends something similar plus takes it one step further in his post against cliché taglines. When you confess that you are looking for a job, you sound desperate. This makes most people want to run and hide. Even if they did have a job, they probably wouldn’t offer it to you. You are seeking information! Really, you NEED to learn about other companies and perhaps industries to see what they are doing and how they work. Because most external hiring comes through referrals (data from CareerXroads 9th Annual Sources of Hire that says 25+% of external hiring happens from referrals), spend more time meeting people and less time applying for jobs online. Your chances of landing a job because you know someone inside the hiring company are many times greater! You have to know what technology is being required, what the challenges are, and what the direction your occupation is headed in as well as your industry. Your goal is to be a walking encyclopedia on the topics facing your field. Miriam Salpeter's (Keppie Careers) post supports this as well. You don’t need to take a class for crying out loud. Read a book, watch a video, start a “new users” group so you fully understand the best practices. 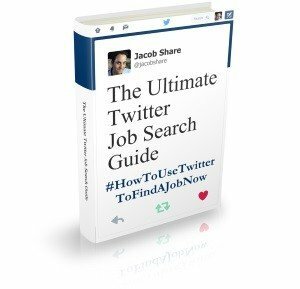 This tool will be around for awhile and you’ll want to use it once your employed too! Jobvite’s 2011 study reported 80.2% of recruiters and hiring professionals are using LinkedIn to find candidates. 94.5% said they did successfully hire someone using LinkedIn. An overriding principle of networking and strong interpersonal communication is to be a good listener. Are you developing your listening skills? Are you making sure conversations focus more on the other person? Are you volunteering? What else can you do to help others? Now, having said all this, I know that having a strong, accomplishment based resume is always a good thing. The resume must be customized for every job you apply to. It must convey your unique strengths in these terms- how will a company benefit from hiring your, what problems will you solve for them?! It should be error-proof and truthful. Yes, you have to have a good one, but do these other 10 things first! I’m the Career Sherpa, (aka Hannah Morgan) and I write and speak on job search strategies. I’m honored to have been recognized as one of Monster’s 11 to watch in 2011. You can find me on Twitter and Google+ where I am sharing information to help new job seekers! See you around! Rabbi Issamar Ginzberg is an internationally acclaimed advisor to successful business owners, known for his powerful small business ideas. Kiesha Easley is the owner of WeBlogBetter.com, a blog devoted to offering blogging tips. If you want Hannah Morgan to win, share this article with your friends. And if you liked this article, you'll also enjoy Long Job Search? 25 Action Tips To End Yours ASAP. 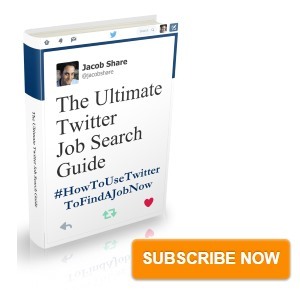 Subscribe to JobMob via RSS or email and follow me on Twitter for more job search boosting ideas. Great work as always, Hannah. #7 (Research the industry) is paramount to career building success! It’s impossible to add value to a company without first knowing the needs that they face in their industry! Research is the difference between finding another job and building a career! As always, valuable information that anyone can use. Great job!! Hannah, great to see you guest blogging here! Thank you, thank you, thank you, esp. re: redoing the resume, but also for being positive. There’s a saying: you can train for skills, you can’t train for attitude. Attitude is so important! No matter how cold those freezing winds, no matter how steep that mountainside, Our Sherpa keeps that beautiful smile and that Positive Attitude going. Hannah, you are a treasure of a pillar of our Rochester Community. Thank you, and be pleased that the best way we can show the Whole World how much we value you is to share you with them all. Thanks for your immeasurable contributions to the Mental Health of all who are learning with you how to enjoy the journey through this economy and these times. Great content and directions for folks in the hunt! Another Great blog, Hannah, always useful info! Excellent advice Hannah, put in a most succinct manner. Thank you for emphasizing the resume as a secondary tool. I have probably done each and everyone one of them several times. The key to finding and obtaining a job is just to nag them until they are sick of hearing you calling and asking about a job. It might be the most annoying, but it certainly gets the “job” done. It might sound a little bit desperate, but wouldn’t you give someone a job just so they will shut up about needing a job? Proactively, positively, convincingly selling oneself in a job hunt (in a focused way) is absolutely key to success. These are important tip and action steps for job seekers who want to take charge and manage their own job searches. Hannah, I would add to #10, when networking yes it’s great to be a good listener, but what you do with what you learned is critical. Your goal should be to help others. Doing this means they will be more likely to help you. Recently an out of work Distribution Manager was networking with a restaurant manager (who was on the board of the local Chamber of Commerce) who was looking for a bus boy. The following day he was having lunch with an executive who stated his son was looking for part-time work. He got them together, the restaurant manager was happy, the executive was happy and shortly thereafter he was the first person the restaurant manager thought of when he learned of a distribution center opening. Fabulous! Right on the mark, easy to read and understand. These 10 steps are the right way to job search and this is a polite challenge to get away from the resume! Nice article on filling the job gaps with activities. I wrote an article a while back (http://wp.me/puGHZ-dt) on “Mind the Gap” — addressing the job gaps that show up on your resume. I’ve linked to your article from both my private and a public blog as it is a complement to my prior writing. Thanks for a well written post to help the job seekers!